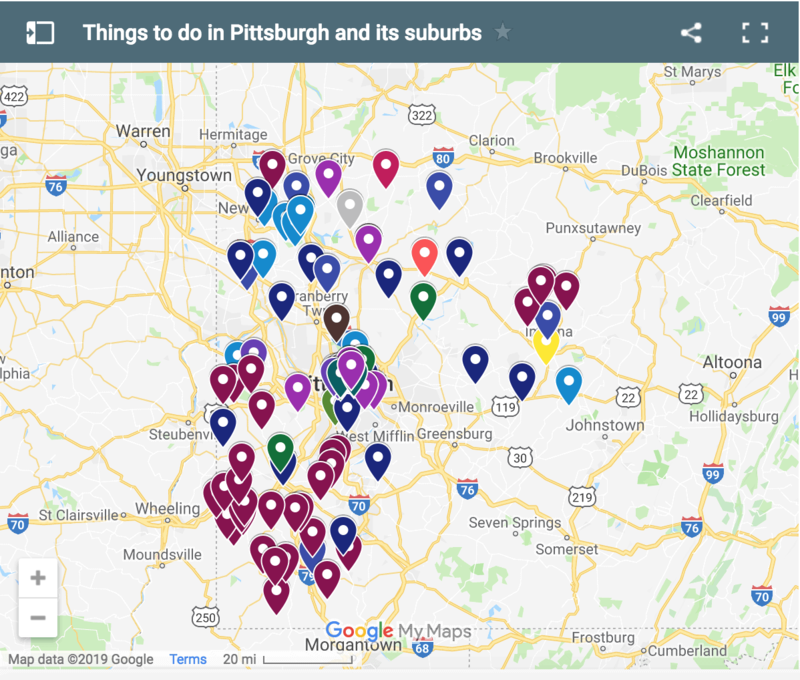 Tucked away in an industrial park along the edges of the Ohio River in Pittsburgh’s Chateau neighborhood sits one of the city’s least-known museums: Bicycle Heaven. Even before entering Bicycle Heaven, the mural outside, which enlivens an otherwise monotone building, tells you that you’re about to experience something special. Take some time to admire this beautiful painting which features a cityscape scene and makes you almost feel like Bicycle Heaven is located along a quaint street in a small town. The very artistic entrance to Bicycle Heaven brightens up its industrial building. Walking through the door, you might assume that Bicycle Heaven is little more than a glorified bicycle shop in Pittsburgh. 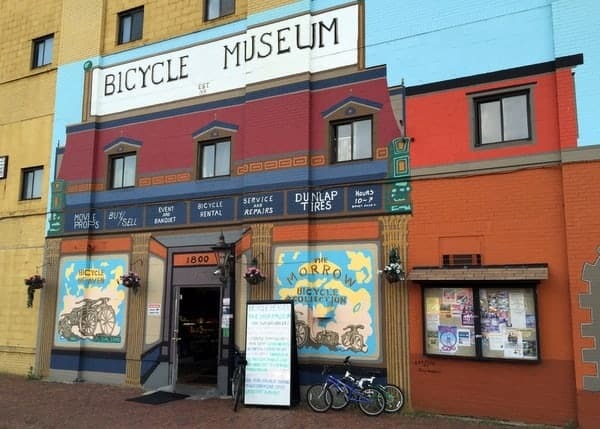 However, if the giant “Bicycle Museum” sign on the outside mural didn’t clue you in, this shop is so much more. 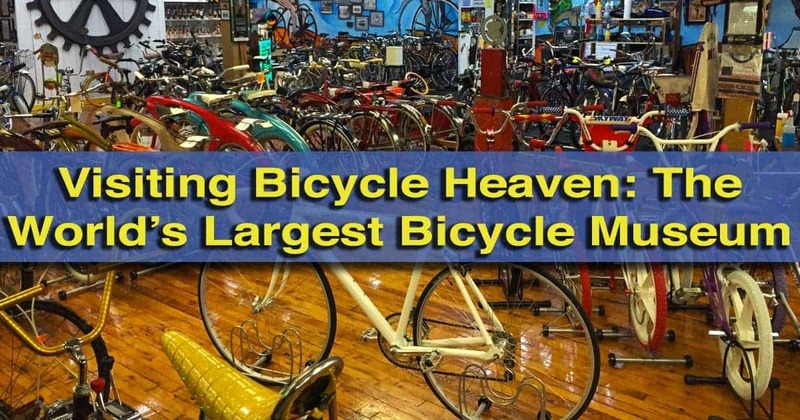 In fact, Bicycle Heaven claims to be the world’s largest bicycle store and museum. Despite having a very large collection of bicycles, the first room looks like a regular bike shop. However, look closely, and you’ll notice many vintage bikes along the floors and walls of this main room. One of the highlights of this first room is the Bowden Spacelander bikes hanging on the wall. Built in the 1960s, these fiberglass bikes have a space age name and look, but only 500 were ever made. Of those, only a small percentage still exist. However, visitors to Bicycle Heaven can see four pristine examples hanging on the museum’s wall. Bicycle Heaven claims to be the only place in the world where you can see four Bowden Spacelanders side by side. 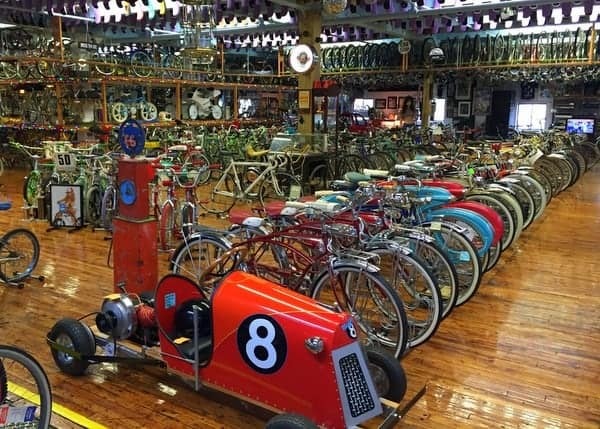 The rest of the shop’s main room is filled with hundreds of bikes, many of which are collector items in their own regard. In fact, the shop is basically one large display collected by owner Craig Morrow. 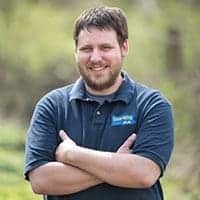 Morrow opened Bicycle Heaven in 2011 after running out of room for his collection at his Pittsburgh home. However, despite only having been open for a few years, Morrow’s collection represents roughly three decades of work. 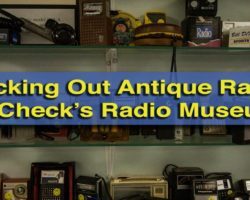 Most of his collection is hidden away in the back corner of the shop. 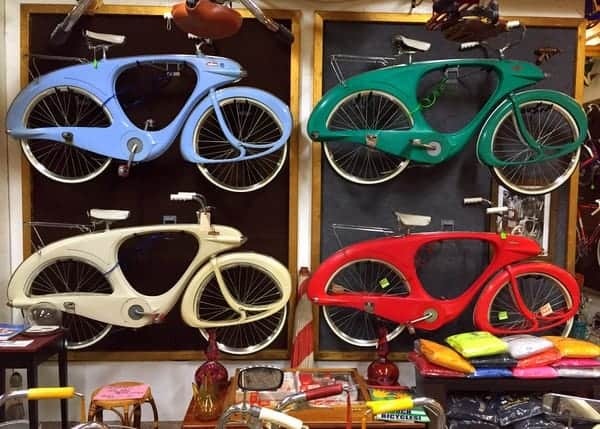 Signs lead you along a winding path through the store’s repair shop, up a steep staircase, and through a storage room or two, before finally ending in a giant room filled with vintage bicycles. The main exhibition space showcases the majority of Bicycle Heaven’s collection. Inside this large room sit hundreds, if not thousands, of vintage bicycles. The bikes here are special for a variety of reasons including age, uniqueness, and Hollywood connections. Unfortunately, there is little organization, so it can be a bit difficult to find anything specific. However, that just forces you to take your time slowly moving through this very impressive collection. During my visit, I noticed bikes dating back to the late 19th century, a scooter used in a Three Stooges Film, and many one-of-a-kind pieces. I’ve seen reports that they have one of the bikes used by Pee-wee Herman in Pee-wee’s Big Adventure, but I couldn’t find it during my visit. 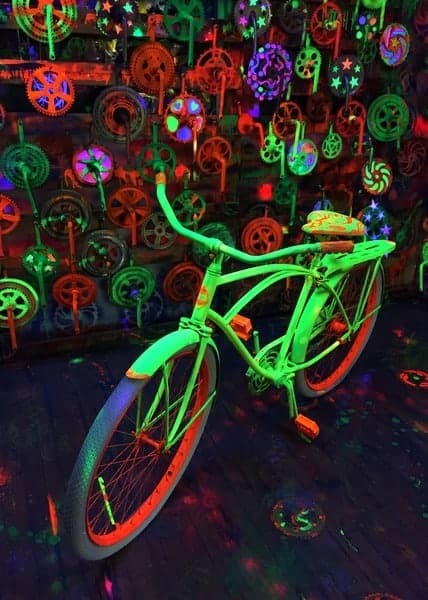 One area that attracted a lot of my attention was “The Groovy Cranky Panky Sprocket Room.” This room is filled with neon painted bicycle gears, all lit by a black light, giving the room a very retro feel. In the middle of the room is a neon green bicycle with gray, red, and orange accents. Inside the Groovy Cranky Panky Sprocket Room at Bicycle Heaven. Another area that I enjoyed was the Bike Tree. 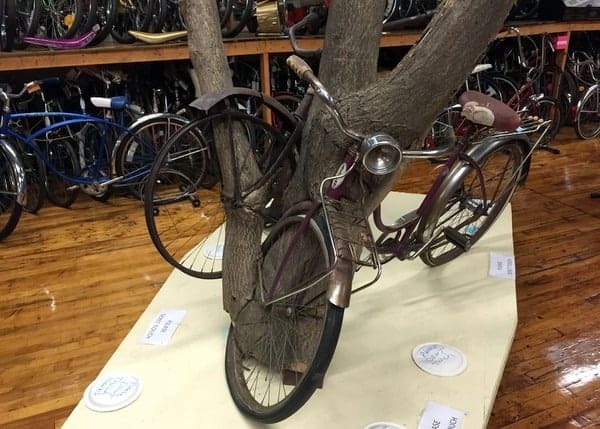 Found on a farm in rural Ohio, this tree features a 1930s Daton and a 1960s Schwinn bike that had a tree grow around them, eventually entombing parts of the bicycles. According to the sign, this is the only place to see two bicycles in one tree. Whether that’s true or not, it was still pretty interesting to view this amazing tree. The very cool bike tree shows a tree that has grown over two vintage bicycles. It wasn’t just these two areas that I enjoyed, however. I really found it fascinating to walk through the rows of bikes, stopping at the ones that caught my eye and looking at the many bicycle accessories that lined the walls. If I had one criticism of Bicycle Heaven, it would be that a little more organization and signage would have been nice. In many cases, the only signs on the bikes were the price tag that often listed the date and model of bike, but said nothing of its importance or history. However, given that Bicycle Heaven admission is free and is one man’s impressive collection, I can forgive this minor oversight. 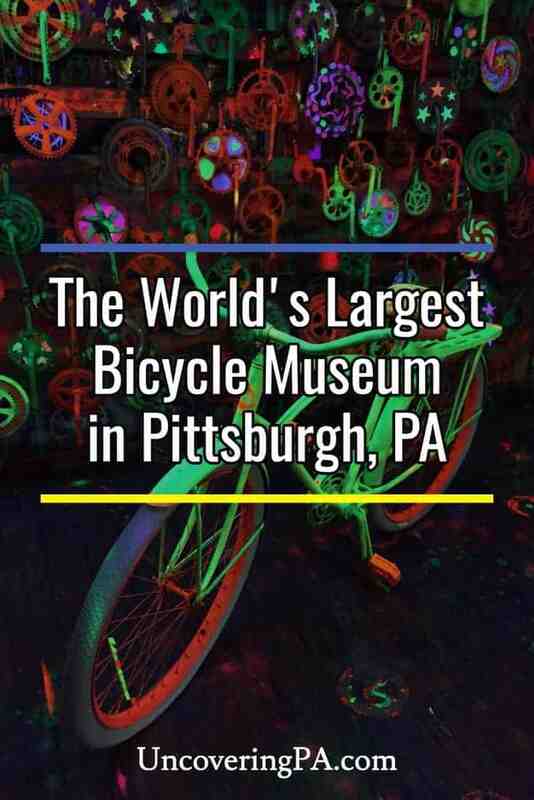 There are many interesting museums in Pittsburgh, but few are as unique or universally appealing as Bicycle Heaven. 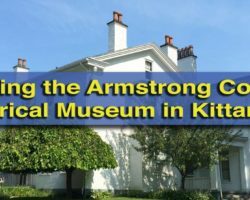 Whether you are a bicycle collector or just enjoy riding one around town, there is definitely something to interest you at this amazing little museum. 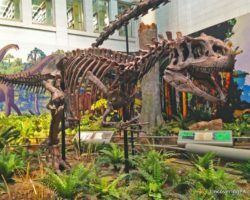 Get off the beaten trail a bit in Pittsburgh with a visit to Randyland and the Center for PostNatural History. Or, soak in the beauty and history of St. Anthony’s Chapel and the Cathedral of Learning. 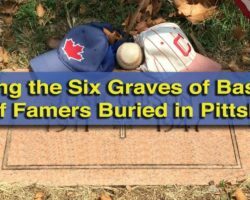 Your article about the old PA Turnpike was like an appetizer for me; I wanted more!